Welcome to 2ZP's class page! Read this page for regular updates about our learning in Year Two. Look at our amazing writing about our summer holiday! I have been so impressed with 2ZP this half term, they have all made a brilliant start to Year Two and have settled in well. Here are some of our displays in our classroom. We noticed that the weather was changing so we went to explore. We then decided to create artwork based on the trees that we saw! During Literacy we created our own non fiction books about Bluebirds! We were inspired after reading the Robot and the Bluebird by David Lucas. Our current topic is 'Terrific transport' and the children thoroughly enjoyed our trip to the transport museum where we got to go on a variety of vehicles from the past. Our class favourite was the tram! As well as visiting the transport museum we have been learning about Alec Issigonis, the inventor of the Mini, and Amelia Earhart. We are also busy designing our very own vehicle and will be making them next week! Look at our amazing wheeled vehicles! Wow, they are incredible! All of the children thoroughly enjoyed making their vehicle and even evaluated their work to say what worked well and what they would change next time. Great designing and making work 2ZP! This is our topic wall showing all of our learning for 'Terrific Transport'. Our new topic is Heroes and Villains, and we began this topic by sharing our ideas about what we thought a hero and a villain was. We then decided who our own heroes were. We had a class debate about whether we thought that Goldilocks was a hero or a villain, watch the video below to hear our opinions! 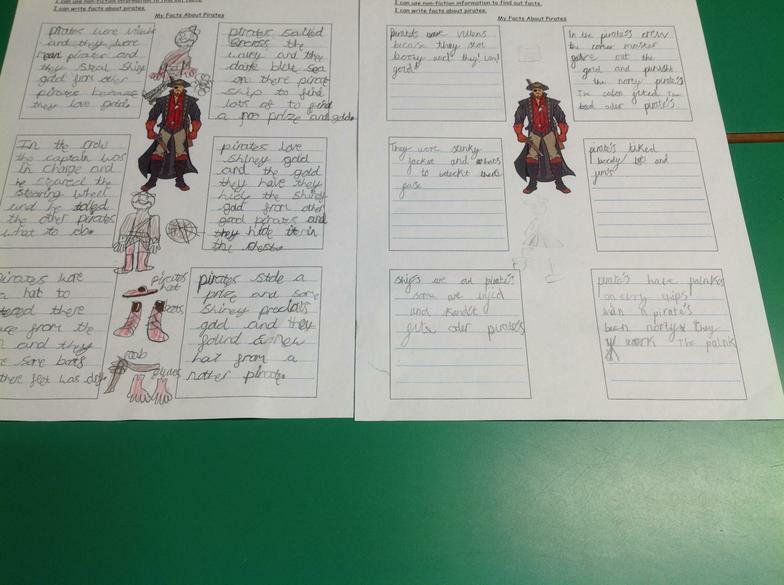 As part of our topic we are also learning about Pirates. 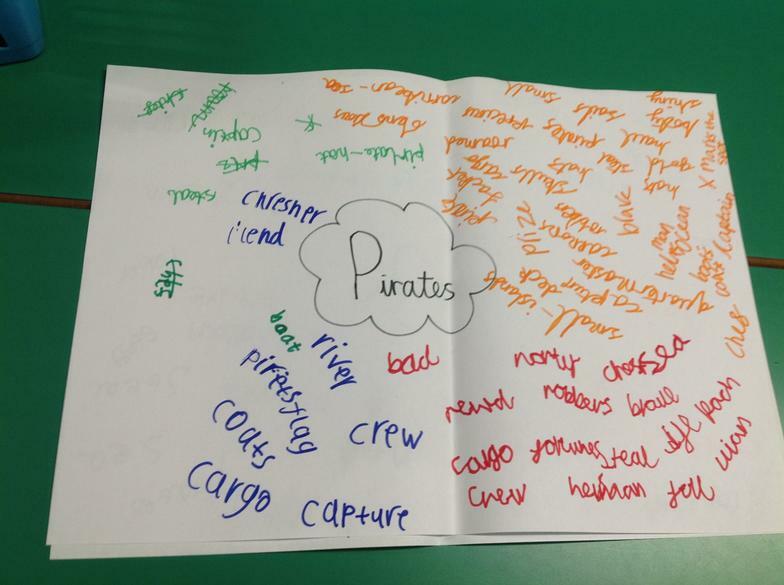 In groups we came up with vocabulary relating to pirates and then wrote fact sentences using the words. We received a letter from Blackbeard and he needed our help! 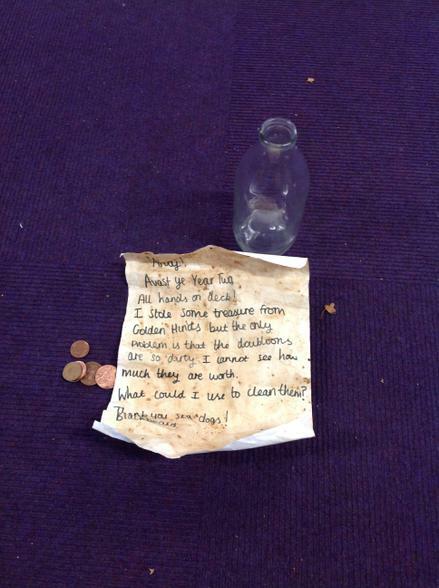 We carried out a science experiment to test which liquid would clean the coins. We discovered that lemonade made the coins the shiniest! Look at the photos below to see how we carried out the experiment.